يقع ibis budget Fawkner في Fawkner, ملبورن, هو خيار شائع بين المسافرين. لا يبعد الفندق كثيراً عن مركز المدينة، فهو يقع على بعد 24.4 km منها. في حين يستغرق الطريق منها إلى المطار حوالي 10 دقيقة. إن سهولة الوصول من الفندق إلى المعالم السياحية الشهيرة الكثيرة في المدينة كمثل Broadmeadows Medical Centre, Wells Medical Clinic, PVH Medical هو استثنائي بحد ذاته. ببساطة كل الخدمات وأساليب الضيافة التي تشتهر بها Accor Hotels تجعلك تشعر وكأنك في بيتك. لضمان راحة ضيوفه، يقدم الفندق الخدمات التالية: واي فاي مجاني في جميع الغرف, خدمة التنظيف يوميًا, مجهز لذوي الإحتياجات الخاصة, مرافق مخصصة لذوي الاحتياجات الخاصة, تخزين الأمتعة . بالإضافة لهذا,تتضمن كل غرف الضيوف مجموعة واسعة من وسائل الراحة . بعض الغرف توفر حتى تلفزيون بشاشة مسطحة, غرف لغير المدخنين, مكيف هواء, تدفئة, مكتب لإرضاء أكثر الضيوف تطلباً. صممت خدمات الاستجمام في الفندق والتي تتضمن مسار جولف - ضمن 3 كم, حديقة لمساعدتك على الاسترخاء والراحة. 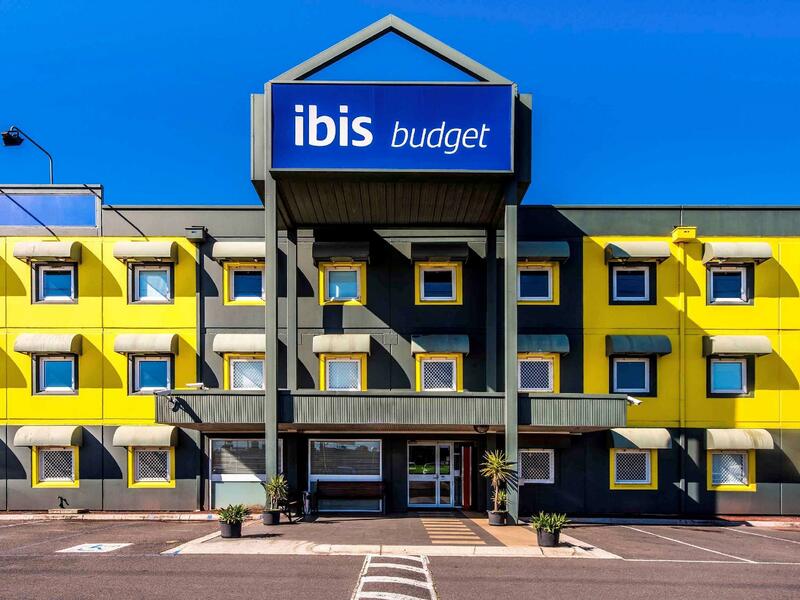 مهما كانت دواعي سفرك فإن ibis budget Fawkner هو خيار ممتاز لإقامتك في ملبورن. Cheap place to stay. Some oddities like our bathroom was a unit installed in the corner of the room like an RV. Only stay if you have a car as a long and unpleasant walk to the train station and a long way from the trams. We only stayed one night as flying the next day . Close to airport. Small rooms more like a dormitory. Comfortable bed, noisey because of freeway out the front. Busy area. Wouldn't stay again here because could not sleep Ruth the noise all night . I am staying a night here before my flight the next day. 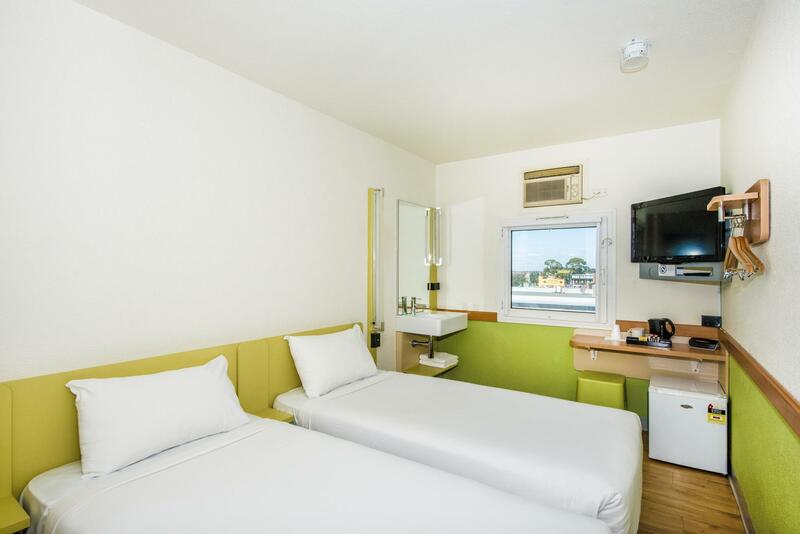 It was just an OK hotel with limited amenities, but it is OK for a night before heading to Tullamarine airport with just 15 kilometres away from there. By accident i booked a month after my dates ,but the receptionist he was so gentleman and fix the problem at no cost,location was very close to were we needed to go,the hotel generally was clean,i defiantly recommend this hotel for anyone looking for a budget hotel at very good rate. They say first impression/s are important. On arrival you can (if you choose) read a sign on the front door "No smoking within 4 metres of doorway" and another reads "No alcohol to be consumed in this area" so = be prepared to run the gauntlet of this dirty/filthy/smokey environment and the collection if these stinking people who have absolutely no regard or respect for rules and other people, sitting about drinking and smoking and well and truly within the "NO go zone/boundaries" and reception staff in full view doing nothing about it. You get inside, reception staff are courteous and friendly. Go up to your room and settle in. It is small and I guess you don't have great expectations as you know this is budget, but surely you can expect it to be clean. Alas, if they have cleaning staff, it is far from clean. We cleaned the window just to let some view of at least a clear sky. We found previous guests hair on the floor, and wait for it, go for a show. ABSOLUTELY DISGUSTING, the mould in these modular units (whilst so easily cleaned) are quite a rude shock to one who likes "clean" (as we do). The one, I repeat "one" redeeming point was the bed/linen was clean and very comfortable, but that doesn't redeem this joint. Would I recommend it, absolutely NOT. The place suit us well as we were on our way back to Malaysia from Mansfield, Vic (2hrs + from Melburne). It is conveniently placed near to Melbourne Airport (15mins) and easy access to K-Mart (24 hrs) and Coles supermarkets. Furthermore, easy access to halal butchers and restaurants. Good location for our early morning start to Melbourne Airport. Very helpful and friendly reception. Good parking. Rooms were simply furnished and adequate for our needs. We had a surprisingly quiet room given close proximity to busy roads and railway. We enjoyed our stay. Thankyou! We stayed in a very similar property in Lille, France last year. It was quite terrible stay. I won't stay there again. Room was very small, too small for 2 and the luggage. Bathroom is extremely small and inconvenient, like airplane toilet. Location is quite bad, far away from the train station, around $50 for taxi to the city center. Actually this place is dangerous at night with random people drinking around and trying to sneak in to the hotel. Not safe parking for Car/motorbike. The location is rather far off from the airport. It took two different buses to get there. However, the room was comfortable and clean. It was well worth the money! Very basic accommodation, but perfect if you just want a bed and a bathroom. Clean and compact. Friendly staff. clean. and good for traveller. Very basic, toilet a bit small. 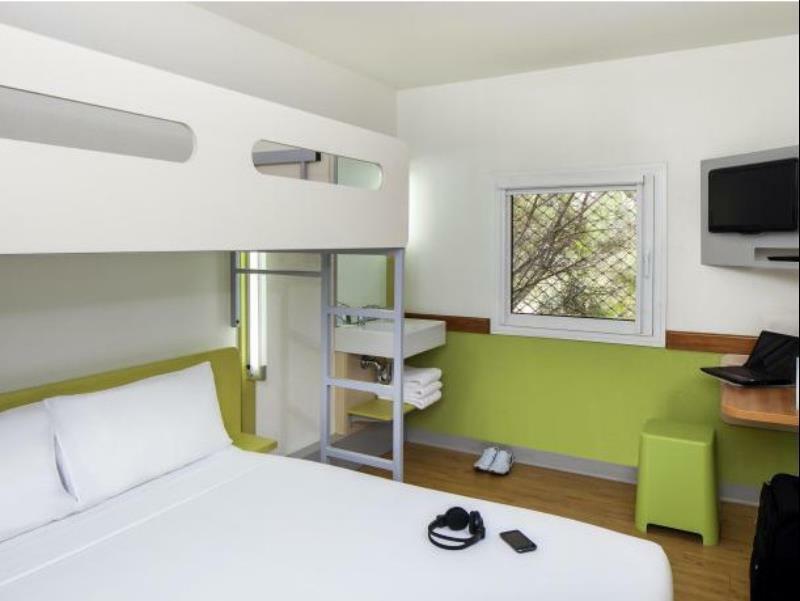 Is a very basic motel, a bit cramp with 3 persons in a triple room. The good part is Mcd and coles just a walking distance from motel. 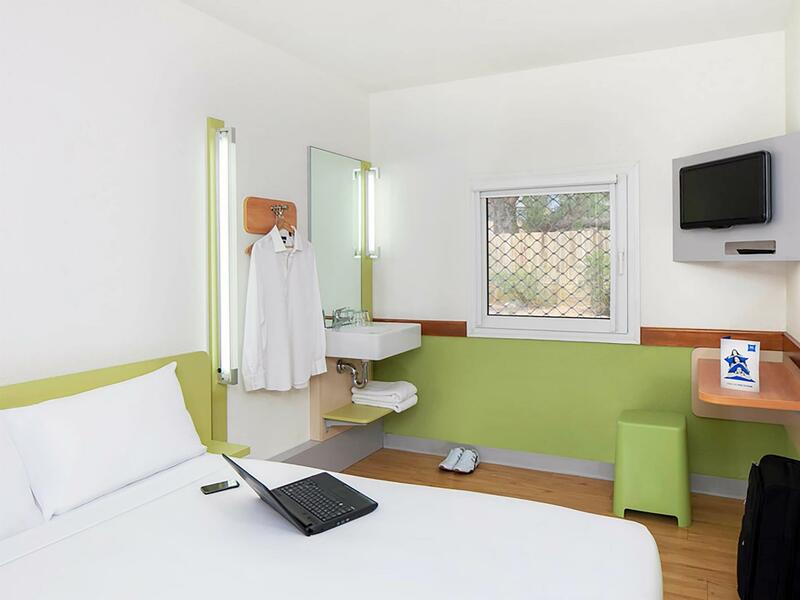 Good for a short stay who want to travel to Great Ocean Road on the next day as motel is exactly besides the highway. I emailed them twice as my flight delayed. Spent money for more than $50 to get there from the airport after 3am and the machine for after hour check in was out of order, had to wait for the staff for good 10mins after pressed the interphone. Answering very weak small voice hardly heard, staff finally came out to open the door with very sleepy eyes, gave me a card key without words. I had to ask about Wifi password and said troublesomely "no pass word".